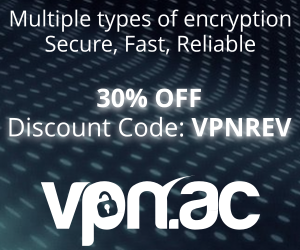 It’s that time of the year again, and that means great deals on VPN services for Black Firday through Cyber Monday! These providers are our top-recommendations and they all have some crazy discounts. Check their websites for the great deals they’re going to have this weekend. “CYBERWEEKEND” promo code gives you a discount of whooping 45% off, or only $32 for a year. 50% off using the discount code “BLACKFRIDAY” is what Torguard VPN is offering for Black Friday weekend. PIA is cutting prices by 20%, making the yearly subscription very tempting for only $31. No code is required, as far as we know. ibVPN is another great VPN service you should definitely check. They offer 30% off during Nov. 28 to Dec. 01.